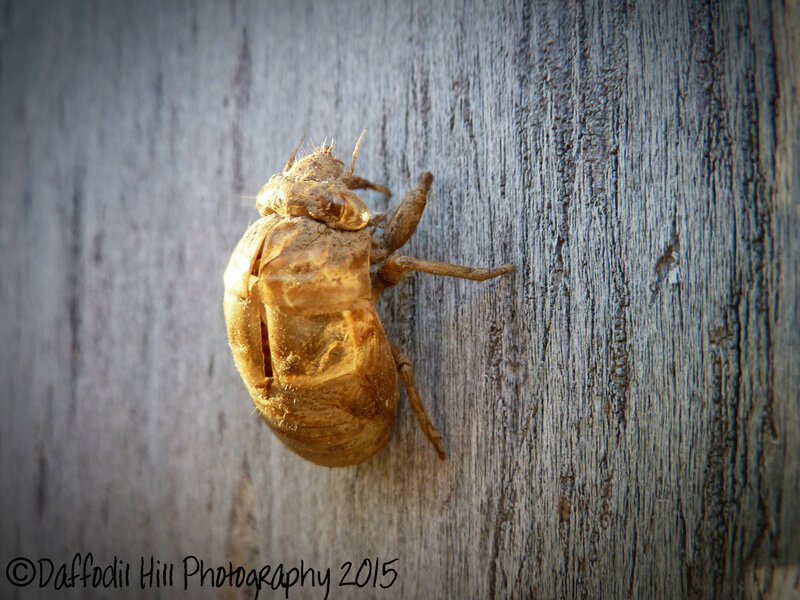 There is a lone cicada shell on my old garage. It is only the second one I found this year though I know more were around. Kind sad just hanging there all be its self with it lights on but no one’s home.